Come & join our Wayside family! 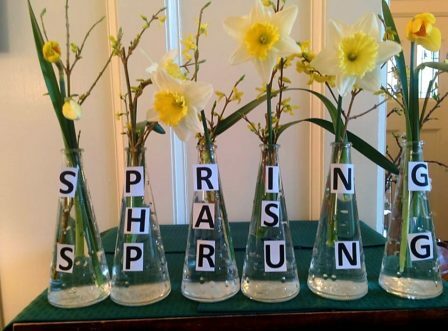 We have an opening for a full-time Journal-listed Christian Science Nurse. Posted in Careers | Comments Off on Come & join our Wayside family! Spiritual Renewal Special – Spring & Summer 2019. Get 1 night FREE! Stay with us for 3 nights and only pay for 2. Stay 2 nights with us and only pay for 1. The special rate is per visit only. We invite you to stay with us at Wayside House for Spiritual Renewal or Bed & Breakfast. We have 4 lovely rooms all with ensuite bathrooms, and garden or orchard views. Contact us by email inquiries@waysidehousevictoria.org for more details. Posted in News | Comments Off on Spiritual Renewal Special – Spring & Summer 2019. You can live at Wayside House! We have two vacant rooms & you could live in one of them! 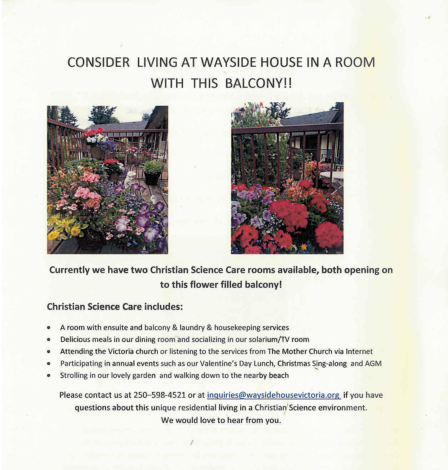 contact us at inquiries@waysidehousevictoria.org for more details. Posted in News | Comments Off on You can live at Wayside House!